This isn’t just a big potential problem in the Northwest, I’ve seen many of these rail cars roll in my neighborhood. It’s estimated that 9 million barrels of crude oil are moving over the rail lines of North America at any given moment. 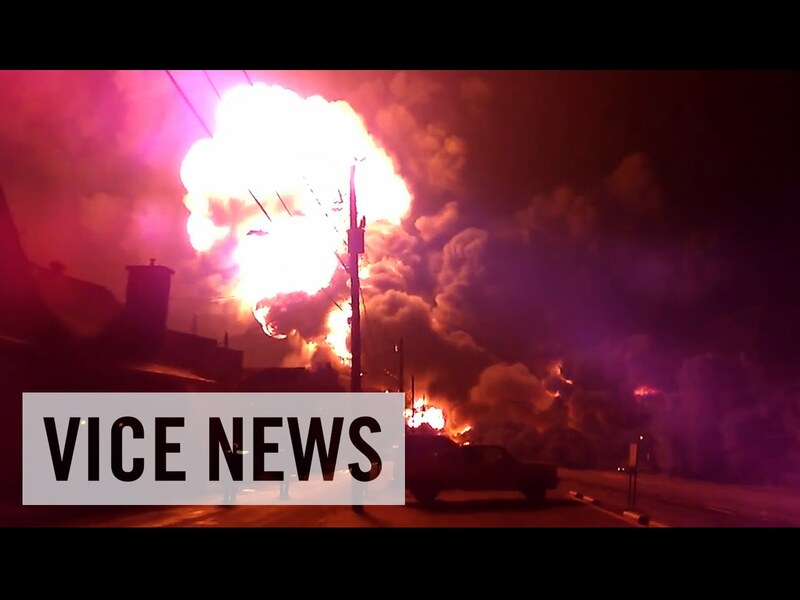 Oil trains charging through Virginia, North Dakota, Alabama, and Canada’s Quebec, New Brunswick, and Alberta provinces have derailed and exploded, resulting in severe environmental damage and, in the case of Quebec, considerable human casualties. A continental oil boom and lack of pipeline infrastructure have forced unprecedented amounts of oil onto US and Canadian railroads. With 43 times more oil being hauled along US rail lines in 2013 than in 2005, communities across North America are bracing for another catastrophe.